Midwest Guns is a Chicago gun store and shooting range specializing in both new and used guns, private classes and firearms training. 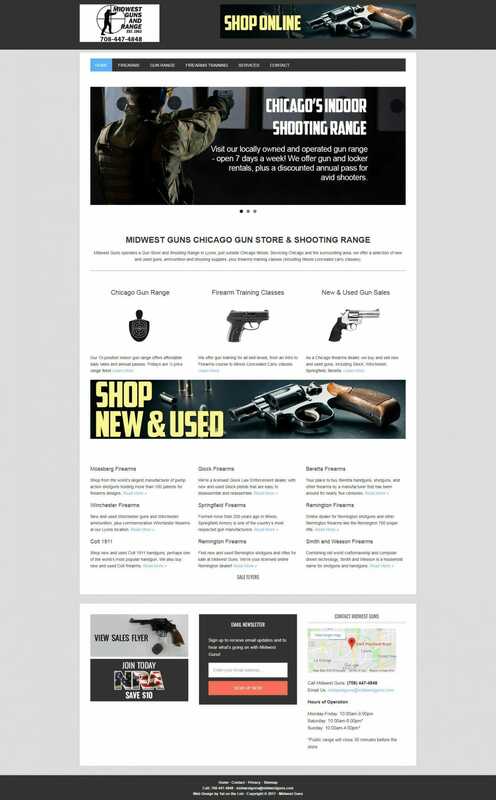 Midwest Guns has been an SEO client of ours since 2003. 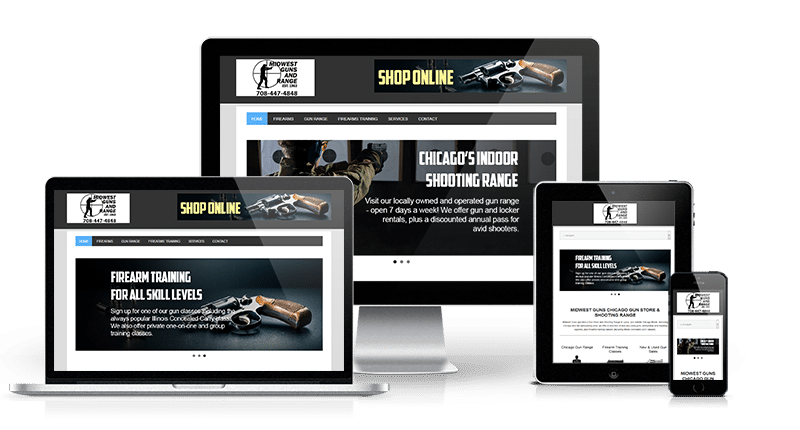 In 2011 we provided a complete custom web design package to improve visitor experience and to better market their used gun sales, shooting range and gun classes in Lyons, Illinois. A used gun inventory system was also added to the website so that visitors can search for used guns by manufacturer, type, or price. The client is able to keep this updated as their inventory changes. Currently we offer ongoing web design and support so that the client can keep the website updated with new courses, updated sales fliers and promotions, and other special events.